On my last trip to New York, I was lucky enough to get special access into Grand Central Terminal. My good friend Dan, who works for the NYPD, has connections and arranged this special tour for me. Not only did we get to go to places not available to the general public, but I also learned a ton about this amazing building. This blog post not only has my photos, but some cool little known facts about GCT. We started our tour walking around the main floor of the terminal. (Many people call this Grand Central Station, but it is actually not a station. Since all trains terminate their routes at this building, it is a terminal.) We went into one of the side rooms and I loved the lights and used my Canon 5D Mark III with the Canon 24-105mm lens (used for all images in this post) to shoot this repeating pattern high above us. I learned that this room was once the main waiting area for passengers about to make long trips across the country. If you look closely at the floor, you can see where passengers wore down the stone by shuffling their feet (nervously waiting for their long trips). Did you know that almost all the detail work in the building involves acorns and leaves? This is in tribute to the Vanderbilt family, who financed much of the construction of the original terminal. After walking around for half an hour we were taken up an elevator to view Grand Central from high above the activity. If you look across the terminal, you will see the 3 large windows directly across from us. You will see the 9 different walkway levels. We were on the top level, shooting through small windows, which conveniently opened to give us a clear photo. Dan took this photo of me shooting through that window. You will notice a couple of things. The floor is made of glass, so that more sunlight would enter the building. You will also notice that I am using my handy Gitzo GT2540 travel tripod. This allowed me to set a low ISO and slow shutter speed to get the following photo. I photographed in landscape and portrait modes. Here you can see two photos that are similar, with the first shot taken with a slow shutter speed, which shows the movement of the people. This is really important in a place like Grand Central. With so many people hurrying to catch their trains, it is good to capture this action. This shot was taken with a much faster shutter speed, and even wider than the previous photo. I took this wider photo to include the heating pipes and windows. This helps show you the environment up at the top of this viewing area. Here is a another slow shutter shot from high above the terminal. I focused the Canon 5D Mark III on the face of the clock (which is made with large pieces of opal and supposedly worth $20 million). I set the shutter speed to 1 second and relied on some people moving and some people standing still to get the combination of movement, and lack thereof, that you see here. And, by the way, did you know that there is a staircase inside this information booth where workers can go to a similar information booth on the lower level? There is! This shot was taken just before heading back downstairs. I stood up and looked down through the open window and liked the view from this vantage point. I took this one last photo before heading back down to the masses. This hallway is also known as the whispering gallery, and is a spot you should visit if you are ever in GCT. You can walk over to the unmarked archway, stand very close to the wall and whisper. If you have someone else stand at the opposite archway and whisper, you can hear them perfectly. It is really cool. There are three interesting facts about the ceiling that most people do not know. First of all, the constellation was actually painted on the ceiling backwards. And, at one point the terminal was going to be torn down. The entire inside of the building, ceiling included, was black. This was caused by the many years of people smoking in the building. Lastly, there is this little hole in the ceiling (which you can see with the black rim about two tiles above the fish.) This hole was put in the ceiling by NASA. Yes, you are hearing this right. 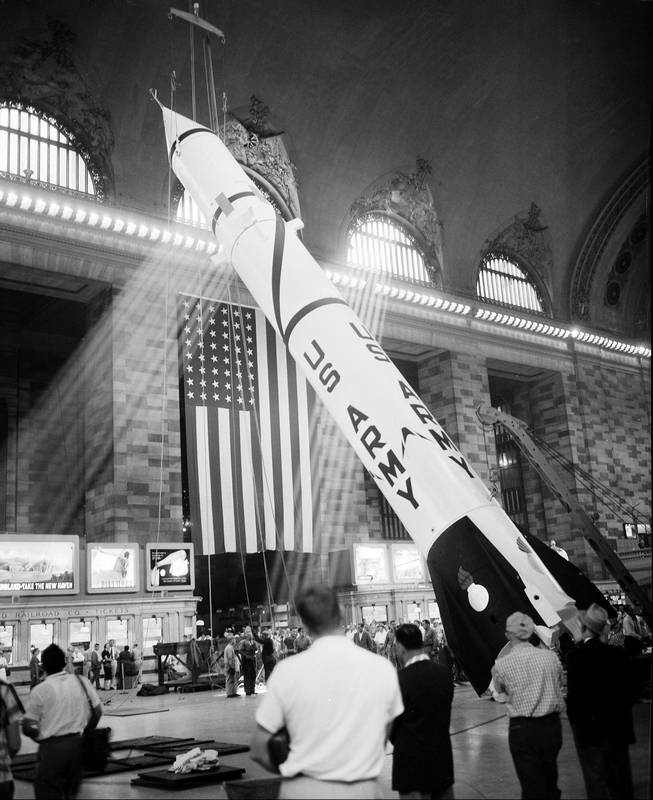 They wanted to put a rocket in GCT to promote the space program and measured wrong. They needed to cut a hole in the ceiling to get the rocket to fit. Did you know that every train departure is intentionally posted wrong? They actually post each departure time off by one minute. They figure that this will give each passenger an extra minute to get to their train. 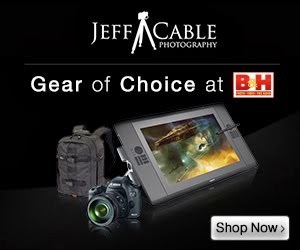 Hey Jeff, From what I've read the rocket fit. The hole was used to run a wire to the top of the rocked to stabilize it. I'm skeptical about the shuffling feet theory. I noticed the blocks/tiles are a different shape where the indentations are and if it were people waiting in line the depressions would extend for the full line, not be evenly spaced. I'm going to see if I can find another story about them. But whether the stories you repeated are true or not they are still cool and thanks for sharing. OK Jeff, It's Daniel again. I'm a little slow at times. The feet shuffling was obviously where benches once were placed, not people standing in line. Well obviously now that I've figured it out. I sometimes drive myself nuts until I can figure out stuff like that. Thanks again for the post.